Day: Best day of your life! Priority: The eye candy of the event! Importance: To feel the best! Spotlight on you Bride! It’s your wedding! 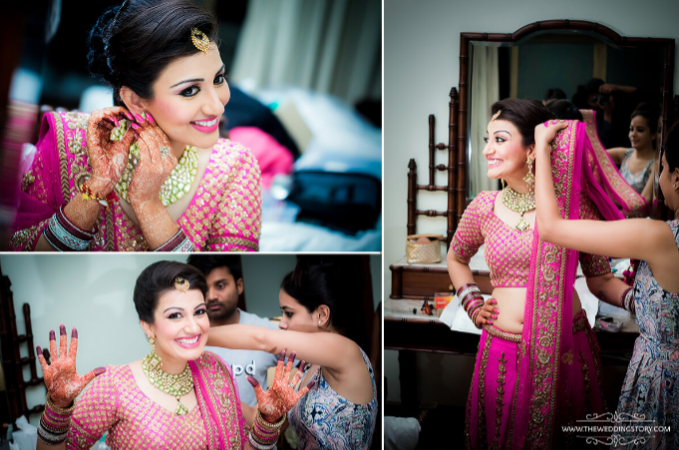 The day when all the eyes would be on the smile on your face and on wide extension – to the Bridal lehenga! 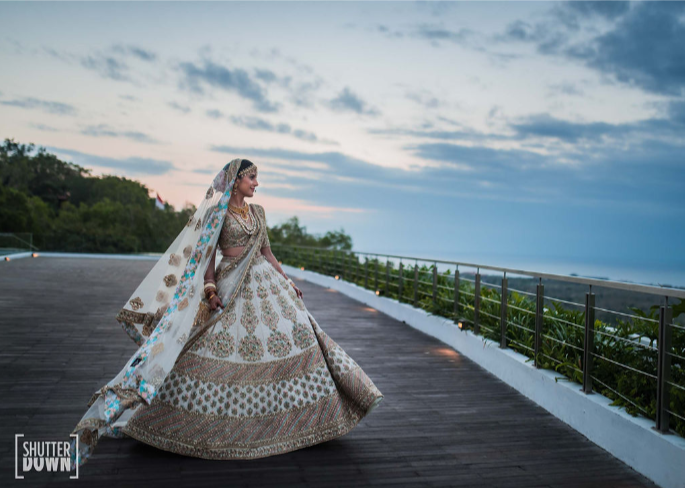 As the wedding day comes near, a bride is certain to have sleepless nights imagining her perfect lehenga. Each fitting session is about making it sexier, every new addition is about making it glamorous and the idea is to keep it a well-hidden secret before the D-Day arrives. But if you haven’t figured out your trousseau yet – fret not! 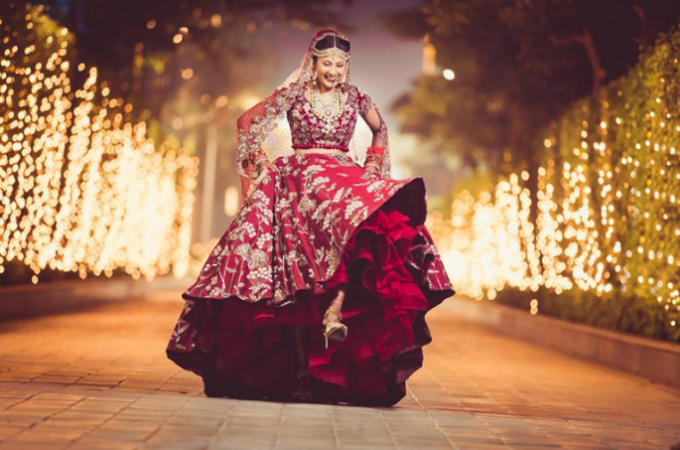 We have the ultimate guide for you – The Bridal Lehenga guide! From readymade pieces to custom-tailored, fitting sessions to the body types – we have all lined up for you to make the important purchase of your wedding simpler! 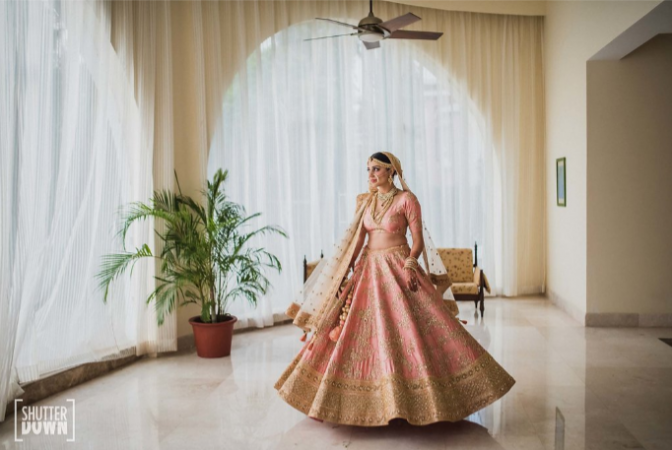 The Bridal Lehenga Shopping – budget and guidance! Traditionally bridal lehenga shopping has to be with the parents. They offer the best advice as per the colors, choice and the budget for your day. But more than that they will point out the flaws you would want to avoid in your wedding trousseau. 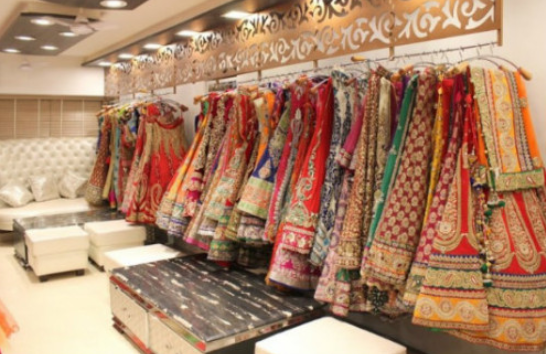 Trust their experience and go shopping with them to pick a nice lehenga. Determine what shall be the season, weather and the wedding lehenga trends during the D-Day. Ask the shopkeeper to share the latest collection pertinent to your wedding date. It doesn’t really matter if it’s a Designer label, a local Couture or self-made design – as long as it matches with your vision, you are good to go, girl! Body-type holds true importance in determining the look you shall have on your wedding day. Instead of imitating the trends, go for something that flaunts your body type. For the petite frames, it should be about silks, net or organza lehengas while the curvy ladies should opt for georgette, velvet or brocade to accentuate their look. Bridal Lehenga shopping should happen a good 3-4 months before the wedding. This is also when the first trial session should happen. Here you highlight all the color changes, material changes, important details and fitting required to the tailor. You also determine the blouse design and measurements to stick to your vision. This is where you can imagine your Lehenga with a semi-stitched piece in hand. Concentrate on your Lehenga and dupatta enough but don’t miss out on the blouse design. Make the blouse slightly bigger than your actual size for last minute fittings and easy breathability. Choose the neck and back line to complement with your Lehenga design as well as your overall look. Complementing your jewelry – A blouse should be a subtle mix of traditions and modernity to give you just the right feel. When the Lehenga gets ready! In between the multiple bridal Lehenga fitting sessions with the tailor and adding tiny details arrives a day when your trousseau is ready for that final try! Take it very seriously! Wear the Lehenga and put up your entire look together to understand just what your wedding day look shall be. Remember that this is the last chance to make a change – keep the session crisp and hearty! Bridal shoes, jewelry, lingerie, shapewear, makeup, and flowers – all of them come together to transform you into a bride. Make sure that everything matches with the aesthetics, are tried more than once and are in place with the final fitting session. Even the draping style of dupatta holds a good sign in bringing together your look. Your accessories are what make all the difference! Take inspiration from Instagram, swipe through the other wedding pictures or just craft your own design – be precise and clear with what you want. But most importantly, when you have your perfect Bridal Lehenga on and walk down the aisle – don’t forget to smile through your eyes and feel the happiness inside. Because no bride looks beautiful without the most important accessory that complements their bridal lehenga – their smile! 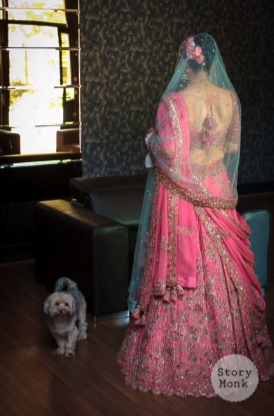 This entry was posted in Style and tagged Accessories, Blouse details, Body type lehenga, Bridal Lehenga, Bridal Lehenga Shopping, bridal lehengas, Designer Bridal lehenga, Dream Wedding, Fitting sessions, The Wedding Trunk, wedding hacks, wedding ideas, Wedding Planners in Mumbai, wedding planning, wedding tips, weddingtrunk.